via Toronto debt $4.4B and rising – thestar.com. In other words: we’re going to cut things. Because previous councils have spent far too much on all the entirely unnecessary infrastructure we’ve seen spring up in recent years. Like, um… huh. The reality is that a significant percentage of the city’s capital costs go to entirely necessary repairs to existing infrastructure. It’s never easy or cheap to run a major city, but it gets progressively harder and more expensive when all the stuff that helps the city function — the pipes, the roads, the tracks, the transit vehicles, the public housing — get to be at least 30-40 years old. It’s worth noting that the last time a city agency got lax with prioritizing state of good repair costs in their capital budgets, people literally died. Toronto-area residents are stuck in some of the worst traffic around, spending on average 80 minutes a day commuting, according to regional transit agency Metrolinx. That could hit 109 minutes by 2031. The congestion costs the Toronto-area economy $6-billion a year, a figure Metrolinx says will rise to $15-billion in 20 years if significant action isn’t taken. via Funding to tackle ‘a critical issue’: Toronto Board of Trade | National Post. The belief that solving the fiscal challenges facing the city is a simple matter of cutting a few wasteful things is, I think, one of the more dangerous elements of the Rob Ford administration. Serious, structural shortfalls — both fiscal and relating to infrastructure — require serious leadership, especially with regard to intergovernmental affairs. Of course, Councillor Doug Ford stepped it after the Board of Trade report, fulfilling his role as Requisite Diversion and proposing some dumb magical private-sector thing where the Gardiner Expressway would be three storeys high and people would live in it. Problem solved. link — Comments Off on Does vote on public health nurses reveal the real Rob Ford? Does vote on public health nurses reveal the real Rob Ford? via Health minister criticizes Ford’s rejection of nurses – thestar.com. Ontario Minister of Health Deb Matthews criticized the decision, noting that Toronto is the only municipality thus far to reject the province’s offer for more public health funding. Despite sticking to a promise to record every vote made at City Council — including routine motions to provide extensions on speaking time — votes at Executive Committee are not recorded. So far, and to their credit, it’s been reported that Councillors Denzil Minnan-Wong, Mike Del Grande, Norm Kelly and Peter Milczyn voted against the mayor’s deferral motion. Since Ford’s taken office, there’s been an effort to soften his image, portraying him less as a curmudgeon with extreme libertarian tendencies and more as a curmudgeon who, sure, is conservative but who also loves this city and if council would just join hands and work with the mayor maybe we’d all be better off. But what if this vote — and his similar negative vote on a motion that saw the city accept $100,000 of provincial money for STI screening — reveals the real Rob Ford? Did voters really elect this mayor in the hopes that he would reject needed funds for things like public health, all in the name of ideology? The TTC will consider a report this week wherein staff recommend adopting the Metrolinx Presto Card program. This program, now in its fourth year of a slow roll-out, aims to give every transit user a pre-loaded card that they can use to pay their fares on local and regional transit vehicles across Ontario. It’s a good idea, but implementation has been stalled for years in Toronto because the province has only promised to provide partial funding. Given that the TTC faces a huge (and growing) backlog of necessary capital projects, asking local taxpayers to pick up about half the cost of implementing a system that will primarily benefit commuters coming from outside the 416 seems a little crazy. So what happened? Wasn’t it only a few weeks back that TTC Chair Karen Stintz was dismissing Presto as too expensive? Essentially, because the province holds all the cards when it comes to infrastructure funding, the TTC got squeezed enough that they’ve given in. The TTC’s refusal to adopt Presto had become increasingly untenable. Provincial funding for the Eglington cross-town subway contained a condition that Presto would be available on that line. In addition, all new streetcar orders have required Presto-compatible units and much of the TTC’s gas-tax revenue is contingent upon Presto adoption, according to Ms. Stintz. “The commission has a decision to make: we could continue with open payment and put a number of funding agreements with the province at risk, or we could move with Presto,” she said. via TTC report backs province’s electronic fare-collection system – The Globe and Mail. 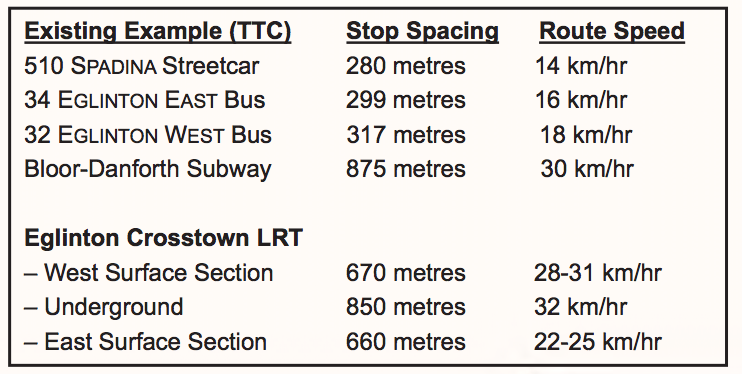 The full TTC report is available. All in all, it’s a rather unenthusiastic endorsement for Presto, and the question of the remaining funding gap is left open. The report also indicates that the TTC had a successful bidder from the private sector, willing to implement an open payment system in return for a percentage of fare revenue. That this option is being set aside in favour of the larger program peddled by the provincial government is kind of funny, given city hall’s preference for all things privatized and low-cost. The Province would like to implement a smart-card system across the GTA and currently the TTC is the greatest roadblock. While the TTC should be working closely with the Province to embrace the smart-card, it works against the Provincial initiative by promoting open-payment. via Open Payment System || Karen Stintz. The Presto fare system could vanish from the Toronto Transit Commission unless the cost gets down well below $200 million, TTC chair Karen Stintz said Thursday. “The cost to the TTC cannot be $200 million, period,” Stintz said. “Because we don’t have it and it’s not on the table,” she said. via Presto pass could vanish | Toronto & GTA | News | Toronto Sun. What a difference nine months makes. Adam Giambrone, on this item, we give you permission to feel smug. via Ford takes questions on Gordon Chong, councillor expenses | Posted Toronto | National Post. He’s not going to blame the provincial government. But just over a month ago he did blame the provincial government. He asked them for more money for city programs. Then he threatened to unleash ‘Ford Nation’ if they didn’t give him what he wanted. Does he not remember that? To be fair, he has been very consistent in giving the federal government a pass when it comes to city issues. He voted against condemning federal cuts to immigration services. He’s remained silent despite this current election atmosphere being a great time for municipal leaders to make their case for urban issues. And today he voted against receiving Adam Vaughan’s motion that the city ask the federal government to clarify compensation rules for shop owners who suffered damage during the G20 summit last summer. While Ford isn’t getting actively involved in the election, his brother is. Both Nick Kouvalis and Rocco Rossi tweeted about Doug Ford canvassing for the Conservative Party in Toronto ridings this past weekend. There’s absolutely nothing wrong with councillors supporting and campaigning for federal and provincial candidates, but Doug Ford’s incredibly close relationship with the mayor’s office works to betray his younger brother’s attempt to remain neutral. By accepting the position on Ford’s executive, Berardinetti says she was agreeing to side with the mayor. So far, it hasn’t been a problem, because Ford has strong support in her ward. But would that change if the mayor sics “Ford Nation” on her husband’s seat? “I don’t think he will,” she said. “I really think that was just Rob being Rob,” said Berardinetti. via City councilor must choose between Rob Ford or her husband — in politics – thestar.com. I knew there was a reason municipal politicians tend to stay out of provincial and federal races. It can backfire. With this upcoming provincial election, though, Ford wouldn’t be able to stay out of it if he wanted to. The Progressive Conservatives are already using him symbolically — cut the gravy! Respect for taxpayers! Blah blah blah –, and the “Respect for Taxpayers Action Group” that Nick Kouvalis is putting together seems to be gaining steam. If the provincial election pushes Berardinetti away from the mayor and into the ‘mushy middle,’ it becomes a whole lot more difficult for the mayor’s office to wield control. Twisted and twisted. More fall-out from Ford’s letter to the province asking for money. via Toronto mayor vows to campaign against Liberals if province won’t boost funds – The Globe and Mail. What a scumbag move. He still won’t admit that the city needs provincial money but, also, he’ll campaign against McGuinty if he doesn’t get it. Meanwhile Tim Hudak has made no indication that his government would provide funding for Toronto. Oh, yeah. You know that thing where it was revealed that the mayor secretly asked Dalton McGuinty for hundreds of millions of dollars? Despite the fact that he was once adamant that the city didn’t need provincial funding? The premier said no. On another note: Sometimes I wonder if maybe Miller shouldn’t have just spent the 2010 surplus money on a city-owned hovercraft and spared us all the smoke and mirrors of the 2011 budget. via McGuinty shoots down Ford’s request for more than $350-million – The Globe and Mail. By applying all accumulated surpluses to the 2011 budget, we unmasked the true financial condition for all to see. The 2012 budget forecast reflects the true gap between the city’s revenues and spending habits. Gee, thanks. It’s a bit like emptying out someone’s savings account just to make it really obvious how little money they make. P.S. The 22 councillors who received the talking point memo? The results from the vote on the Tenant Defence Fund from last week probably serve as a good indication. The “No” votes are Team Ford. I’m thinking Jaye Robinson would be considered a friendly too. Perhaps Doug Ford isn’t included in the list of 22 councillors since he works out of the mayor’s office.